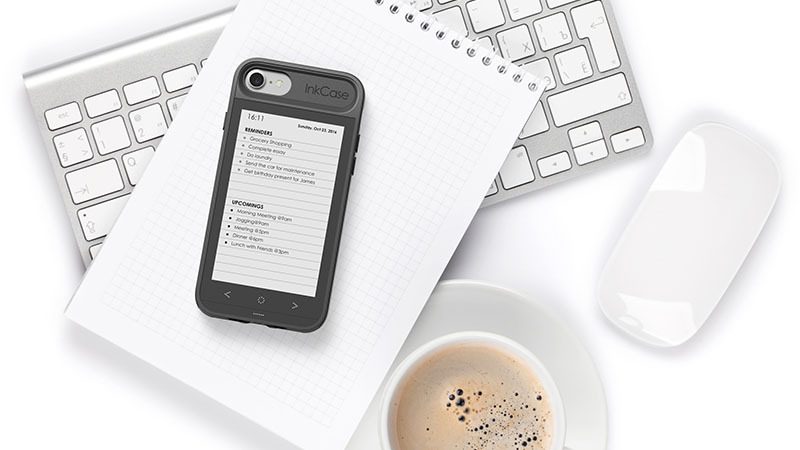 InkCase i7 is arguably the best mobile phone case ever made. 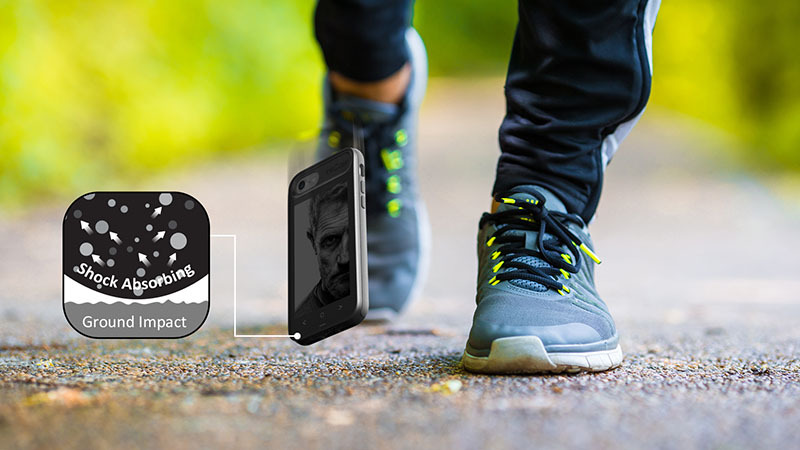 It brings your iPhone to life in amazingly powerful ways. Relive your best memories with the Customizable Photo Wallpaper. 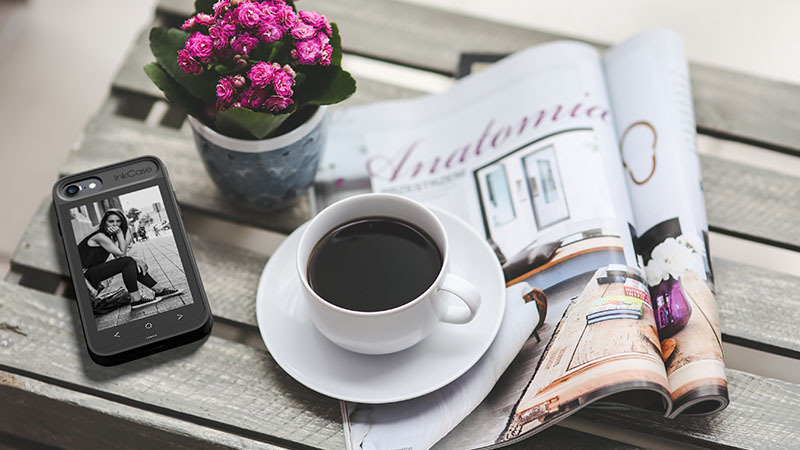 Immerse yourself into the story of your favorite eBooks. Live Information Center keeps you updated through the day. 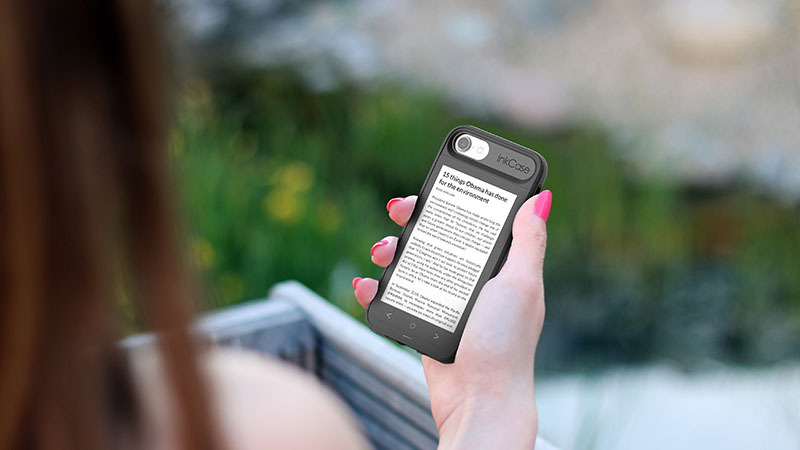 Let InkCase i7 protect your phone smartly with the improved BubblePro Technology for drop-proof protection. All of these fitted in the thinnest, lightest smart case in the world. And that’s just the surface of the OAXIS InkCase. InkCase i7 delivers beautiful crystal sharp text for a crisp reading experience. You will never go wrong with 217dpi at 480*800 resolution. 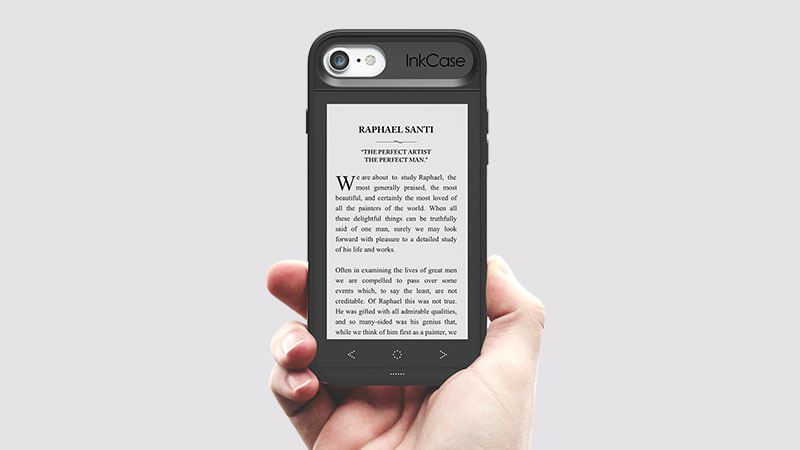 InkCase i7 strikes the perfect balance between pocketability and usability with a large 4.3″ screen for your eBooks. Smartphone struggles under direct sunlight even with brightness set to the maximum. InkCase i7 excels under these extreme conditions thanks to its high anti-glare properties. 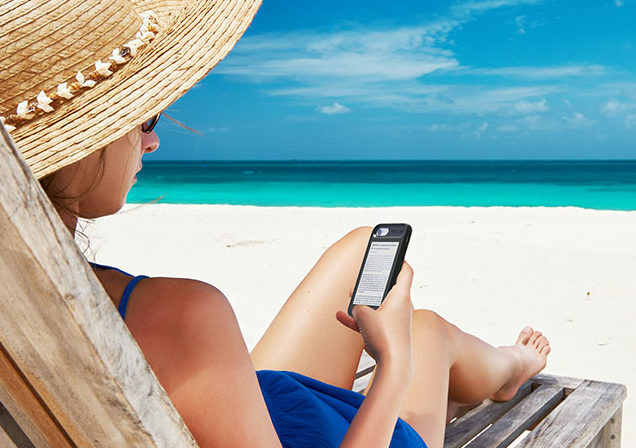 You can now read a book by the beach! 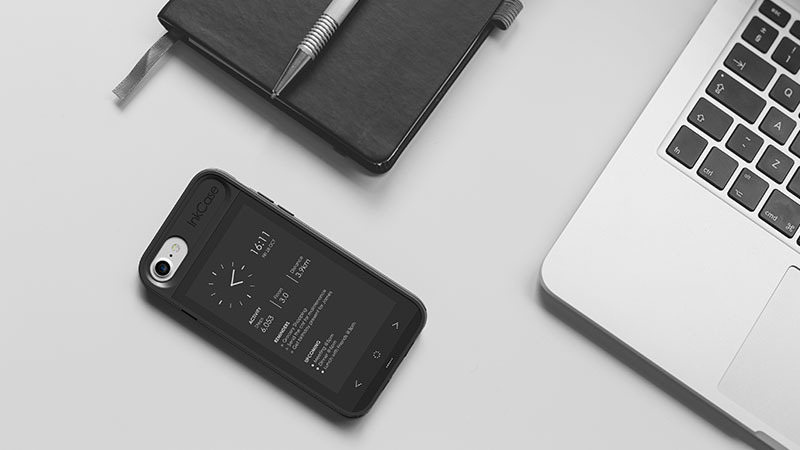 Organize your daily tasks by displaying them on the back of your iPhone. Never forget the simple things! Sync your calendars so you stay at the top of your game. Plan your day and get alerted of upcoming schedules. Switch the InkCase i7 screen to a real time clock. Save your iPhone’s precious battery life as you no longer need to switch it on to see the time. Requiring virtually no power to display an image. Once an image or text is set, it consumes no battery for as long as it is displayed. Minimal battery is consumed only when the screen is refreshed. Choose your favorite photo and have it displayed for months! 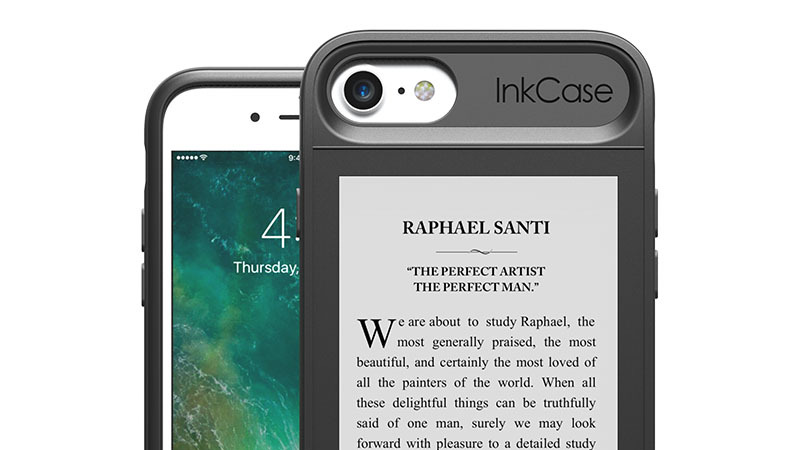 InkCase i7 is among the best protective cases in the market offering military standard drop protection. Using the latest BubblePro Technology, millions of Micro Weave locks together to reinforce the case rigidity. Energy from an impact is absorbed by the Micro Weaves and spread across the entire outer case. Giving you a complete peace of mind. 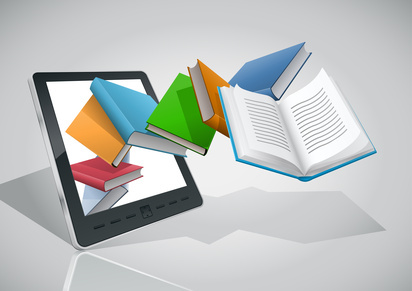 We recommend using Calibre eBook library manager. A freeware for managing and converting eBooks formats for use in InkCase. Download calibre.